. : fire Archives - Deborah Myers Wellness :. Life can throw us curves of all sorts! We don’t plan on those, and we don’t necessarily see them coming our way. One such event was the October 2017 fires. And no matter how YOU were individually impacted, the experience most likely affected your breath, your emotions, your sense of well-being, and maybe your physical health. As we get closer to the one-year anniversary of that terrible time for Sonoma County and Napa County, your body may be experiencing memories of distress. Also, it hasn’t helped that we’ve had other fires raging north of us. People are using phrases like, “I’m waiting with baited breath” and “I’m wondering how much more I can take.” Some folks realize that they’re not processing information with ease, similar to what they were experiencing one year ago after the fires. And many are trying to figure out what they need to do to regain their vitality and productivity. Fatigue is running rampant because sleep isn’t restful and rejuvenating. None of those symptoms are unusual after trauma and chaos. And when we re-experience the memories of the traumatic event, our bodies get even more stuck in the patterns of the symptoms. We can help our bodies let go of the symptoms and the tendency to hold onto those patterns. By balancing our energy, we can create new patterns of balance and ease that our bodies will see as more desirable. Self-help acupressure is a natural, effortless way to remind your body how to be in breath, how to let go of stress and anxiety, and how not to take on stress. 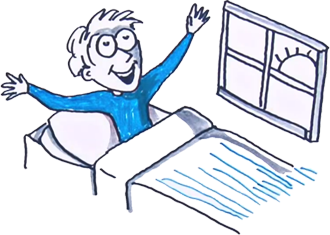 You can relieve discomfort and pain, balance your emotions, boost wellness, and improve performance in your daily activities. A daily practice of balancing your energy allows you to become a partner with your body. Rediscover your breath, boost your immune system, improve your focus and clarity, increase your vitality, let go of overwhelming thoughts and handle your feelings. You will find that your body feels healthy and full of life when you get your breath and energy back. I hope that you make use of these suggestions! to get your breath back. They can really make a difference! 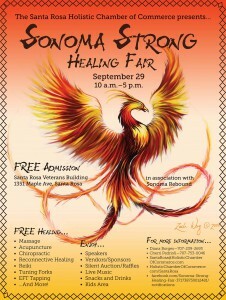 And to learn even more, join me at the Sonoma Strong Healing Fair on Saturday, September 29th at the Veteran’s Building in Santa Rosa. I’ll be presenting at 11:30, offering more suggestions on how to get your breath back. I’ll also be teaching in the Kids’ Area at 1:00 and 3:00. I look forward to seeing you there! In the meantime, wishing you ease.